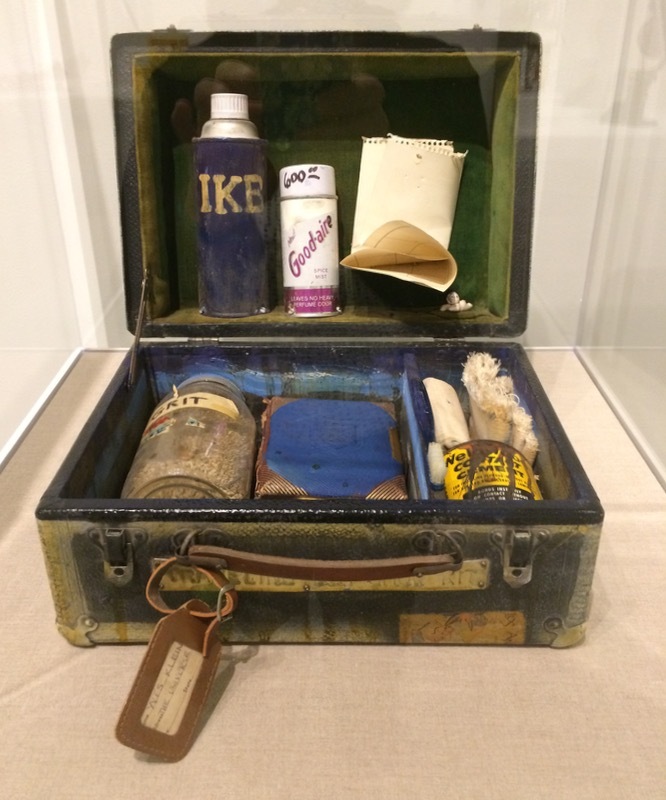 Posted on August 5, 2018 by Elizabeth E.
The last time I worked on this, Neanderthals worked on chipping rocks for tools. The last time I worked on this, Bing Crosby was crooning White Christmas. The last time I worked on this, I had straight cut bangs and was in fourth grade. Kidding. But it has been a while. This is the fantasy version, done up in my favorite quilt software, Quilt Pro. The next ring was a series of Flying Geese. I got the geese done and they didn’t fit. 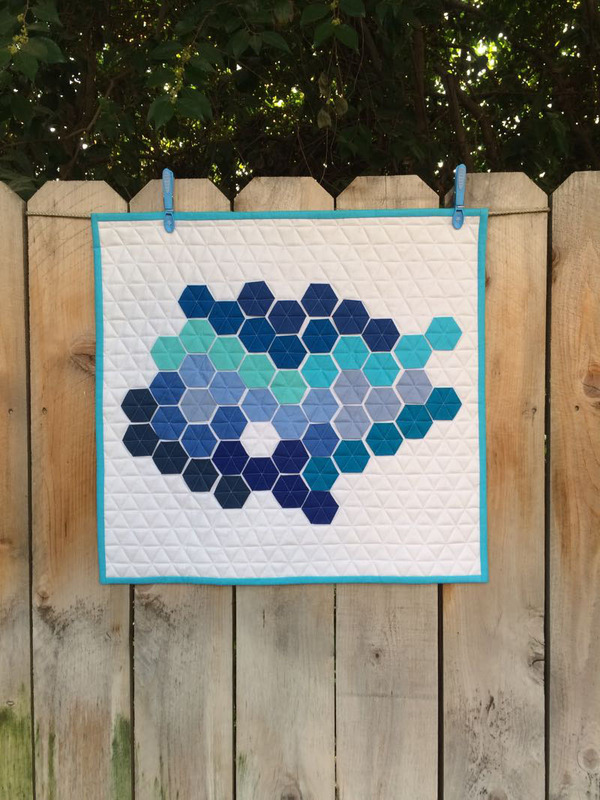 Those solid-color bands in between the pieces sections have many names, but Melanie, of Catbird Quilt Studio, also calls them Spacer Borders, and has a great blogpost on working with your pieced border and spacer borders to put the quilt together. 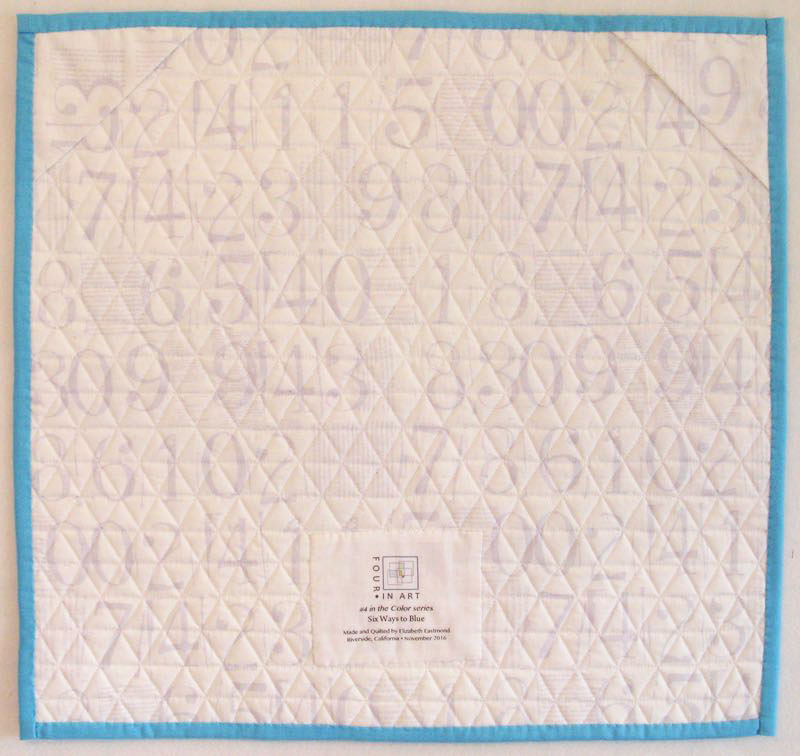 Another post of hers talks about designing medallion quilts in general, and is another great reference. I did follow her instructions, trimmed some of the blue adjustment/spacer border, and the geese fit perfectly. I also pinned them on a flat surface, working to keep the quilt square and not make any bubbles in the surface. Lovely night shot. It’s always late, lately. As per her advice, I cut the next border larger, and am now working on trying to get that last border to fit. But this process this week has not been without some angst, as I first thought I was so smart to make a HST, cut that in half and then half again. But that won’t work, as these last blocks have the colors in very specific places. So I pulled out my triangle maker from Bonnie Hunter and started making the size I needed (I learned how to use her tool when I made her En Provence quilt in 2016-17). Never let a new skill go wasted, or at least use it once in a while to keep it from totally slipping out of the old brain. In looking at the unit, I thought I would make the four-patch center, then adjoin the larger top/bottom triangles. No. It worked out better to create the unit above and sew them together. I splayed the back seams so the joins weren’t so bulky. Now I’m auditioning adding another teal border on top of the green, or cutting down the green adjustment border to fit the pieced border. I’m leaning toward the second one. I thought these last sections would go more quickly, but I was quite bogged down the other night, trying to figure the dang thing out. I’m back on track now, I guess. 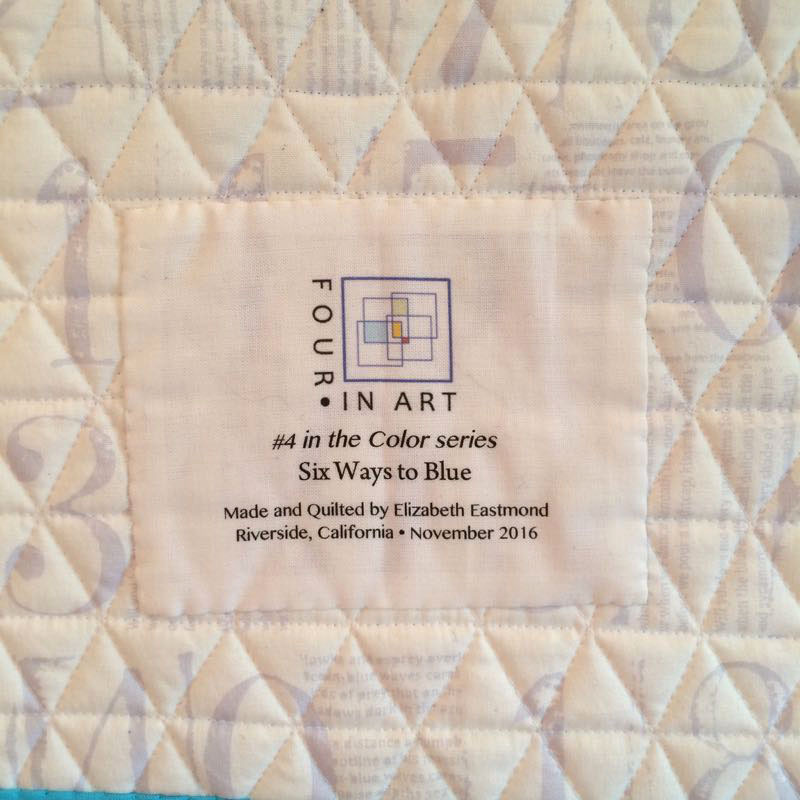 Medallion quilts are one of my favorite quilts, but they can be tricky. Last weekend we spent a few days up in the mountains of Southern Utah, feeling a bit too hot in the day, but blissful at night as we enjoyed the quiet and the breeze and a rare double-rainbow. 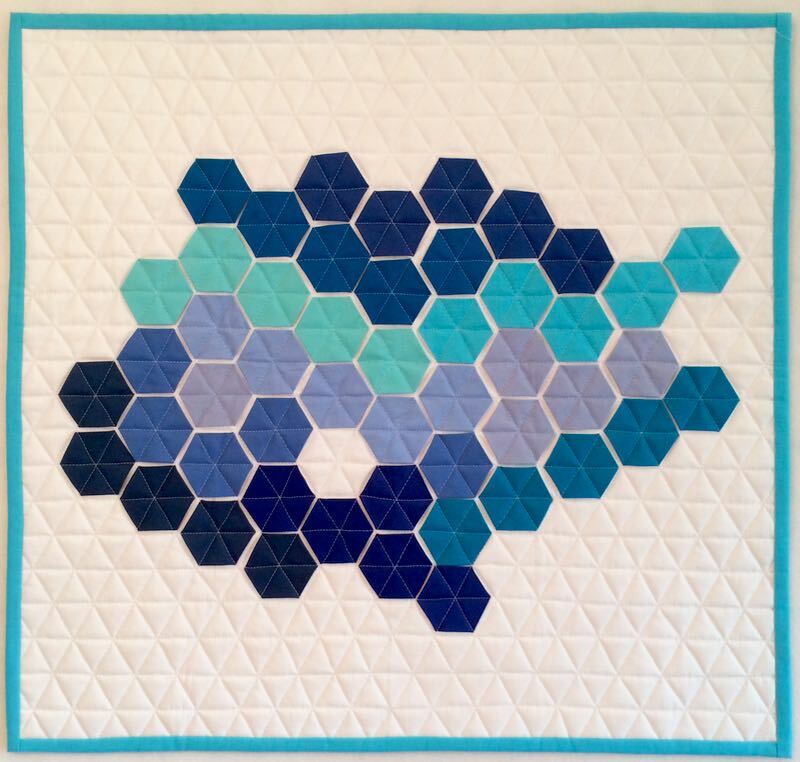 I also taught Free Motion Quilting to some of my relatives, as well as how to sew hexies. They were receptive, and it was a weird thing to be sewing out in nature, but the cabin had electricity, and they wanted to learn. Here’s to summer. Let’s hope I get this Northern Star Quilt done before the snow flies.